Performance trimmings in a rainbow of colors! Choose from an array of bright and neutral colors to suit the personality of your indoor-outdoor fabrics. 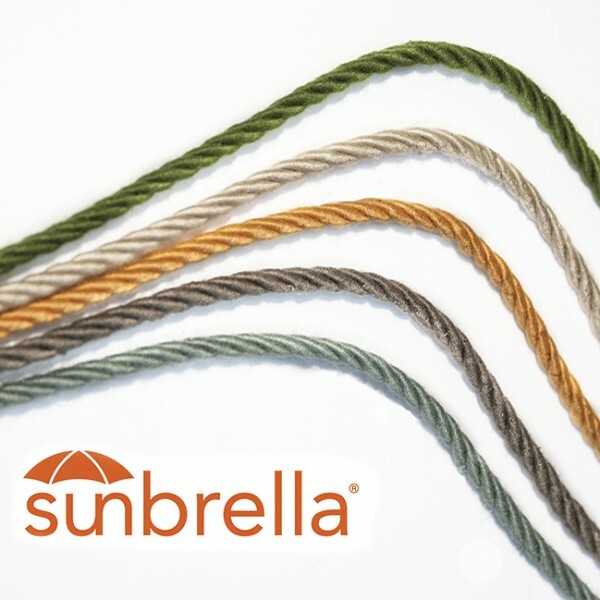 Come rain or shine, Sunbrella trimmings provide the finishing touches to outdoor pillows, draperies and furniture. Our assortment includes matte trims in solid and mixed yarn designs.